Yippee! 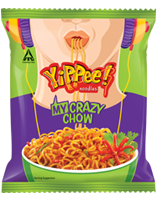 was born out of the need for better noodles. Yippee! 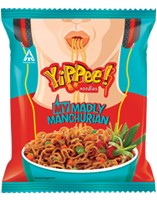 instant noodles is available in four lip smacking variants - Magic Masala, Classic Masala, Power Up Masala and Mood Masala. 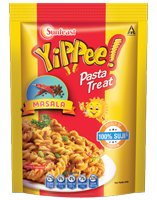 Magic Masala is a special masala created by ITC with spices and also has five different types of dehydrated vegetables. Classic Masala is the Classical Indian Masala flavour with a perfect blend of spices. 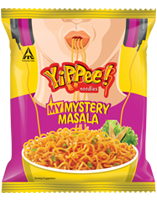 Power Up Masala is made from whole wheat atta and has vegetable additions in every strand. Mood Masala is a differentiated offering with 2 Masala Mix sachets which allows you to choose your taste every time; thus making it a perfect partner for all moods! 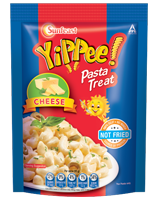 Sunfeast YiPPee! 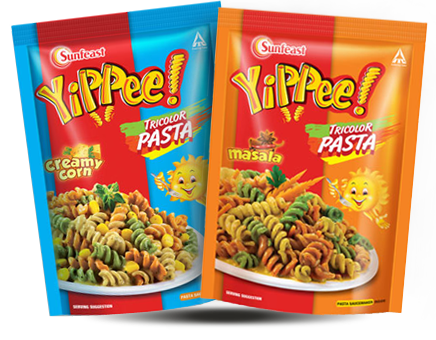 Tricolor pasta is a unique product, with pasta in three exciting colors derived from vegetables. 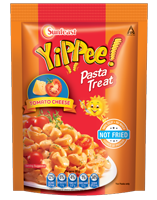 The buttery smooth pasta comes in two mouth-watering flavours of Masala and Creamy Corn. The unbeatable combination of wheat and tasty vegetables makes it a wholesome snack which can be prepared in just 5 minutes! 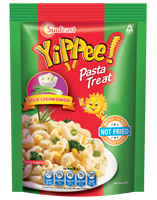 Sunfeast Pasta Treat, introduced in the year 2005, is an instant pasta made from wheat semolina and no maida. 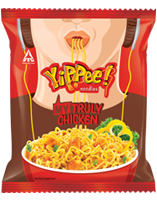 which will leave you asking for more of this Treat!